What if I told you that you can go from Boston, MA to New York, NY for $1? Would you believe me? Most people wouldn’t. You can’t even buy a bottle of soda for $1 anymore, so what are the chances of being able to hitch a ride 200 miles away for that price? Answer: 100% – There is a 100% chance of being able to travel over 200 miles for $1. Thanks to Mega Bus & Bolt Bus. Buses advertise a weekly schedule that allows their customers to conveniently get around day to day. During the weekends they typically get a pretty good turn out, but during the week it’s usually more dead due to people working. So in order to fill up all their seats to make money, they have a sale on tickets. The more dead the route, the cheaper the tickets. That’s where the $1 fares come in… because it’s better for them to get $1 than to get nothing, right? First off, you have to make sure you buy your ticket before everyone else starts buying theirs. Their system is set to raise the price when they think it’s a more popular day. It will start off cheap and then the more people that buy, the more it goes up in price. So this type of deal is best for people looking to plan stuff ahead of time. You’ll be grabbing for more cash if you try to get a last minute ticket. Second, it’s going to take longer to get where you’re going. If I took a plane from Dallas to Chicago, I could get there in less than 3 hours. A bus is a different story. Most buses could take up to 21 hours to get from Dallas to Chicago. Big difference, right? That means this type of deal is also best for someone that has time to spare. 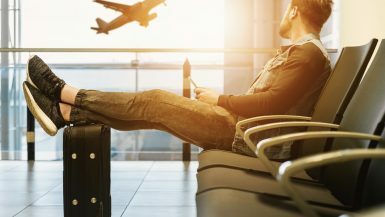 If you only have a few days to travel, you don’t want to spend half of that time stuck on a bus – even if it is a great deal. 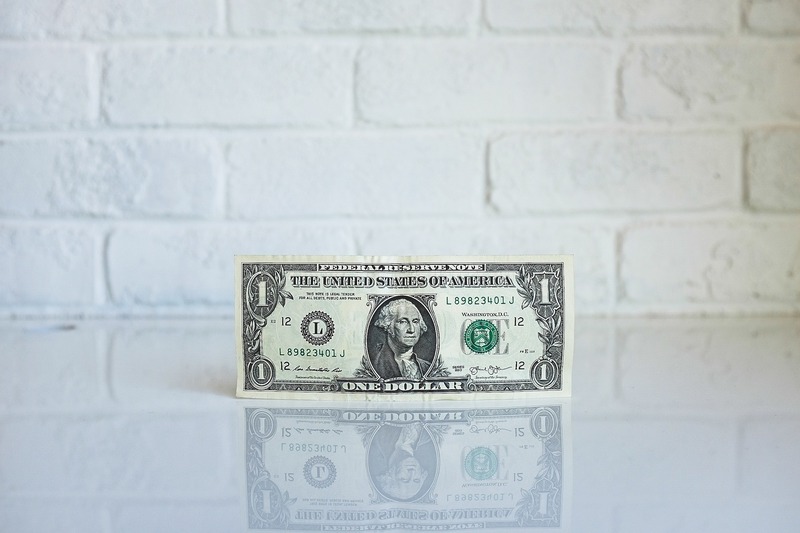 Time is money, so calculate that into your $1 fare whenever you decide to book a trip. Third, you aren’t guaranteed to arrive on time. There are thousands of people on Earth that honestly have no idea how to drive and the bus drivers have to deal with those type of people on a daily basis. Which means they could be delayed at any time. Along with construction and rush hours, you could be sitting on that bus longer than you anticipated. There’s nothing we can do to stop this so you have to take that into account when you charge that $1 to your bank account. If you’re okay with those three things, then I recommend heading to their site and booking a ticket now! I personally plan on using these deals when I go to visit my mom because $1 bus ride compared to a $200 roundtrip plane ticket is a no-brainer. 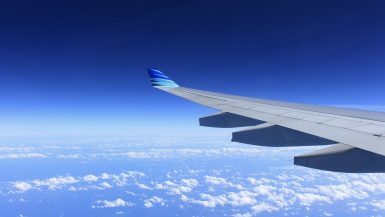 Saving money on one trip just allows me more money for my next trip! Bonus: Both the buses have free wifi and power outlets! This is a perk of a bus. Typically plane rides charge you for internet and subways barely get signal. Buses allow me to sit back and write blog posts while I’m on my way to my next adventure. And for $1? You can’t really beat that. Extra Bonus: After every 4th round trip you take with Bolt Bus, you get a free bus ride! So technically there is a deal that’s better than the $1, huh? Where do these buses run? Megabus: The US, Canada & the UK. 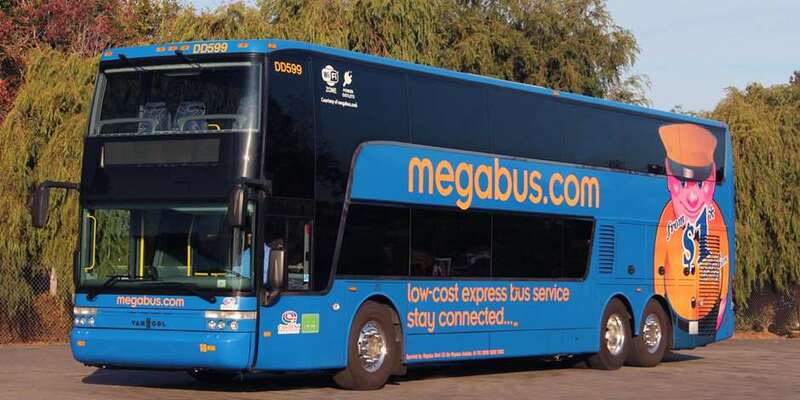 When it comes to the US, Megabus is mainly in the East Coast. There are a few major cities in California that can find Megabus, but the rest of the West Coast and Central America are out of luck. Boltbus only runs in the North East and the West Coast of the US. Everywhere in-between is stuck hoping that one day they’ll come their way. Have you rode with either of these buses before? Let me know your reviews and crazy bus stories in the comments below!